2018 Boys Varsity Golf - Est. 1935 - 84 years - Cardinal Athletic Alumni Association, Inc.
Medalist: Sam Nielsen FDL 74. Individual sectional qualifiers: Tyler Roethlisberger ASH 76, Kevin McMeans ML 87, Luke Schroeder ASH 93, Thomas Urben ON 94. Top individuals: Brock Hlinak KAU 73, Paul Lynch WC 73, Zach Kulka BD 73, Zach Klingseisen KAU 75, Tyler Cleaves KAU 75. FOND DU LAC – The only thing keeping Elliott Nielsen from cranking out birdies and low scores this spring for the Fond du Lac High School boys golf team is Mother Nature. Nielsen has been the No. 1 golfer for the Cardinals in his sophomore and junior years and likely will fill the role again once the weather cooperates and the season gets underway. The senior did lead Fond du Lac to a team win at the Beaver Dam Invitational, where he tied for third overall. Nielsen, who earlier this school year signed a letter of intent to play collegiately at Northern Iowa, and his teammates have been doing their best to try to prepare for when they can get out on the course for good. “Yeah, it’s been pretty tough to get the feel back. We have a simulator, so we have been able to get some swings in,” Nielsen said. “I’ll probably need about three range sessions and I’ll be able to get the swing back and get the feel of everything down.” Nielsen took some time this week to answer questions for USA TODAY NETWORK-Wisconsin. What’s something most people don’t know about you? I used to play the guitar. What’s your greatest sports moment or achievement? Making Team Wisconsin this past year. What’s your most embarrassing sports moment? Not making it to state last year. Do you have any prematch superstitions or rituals? On the putting green before I go out to the first tee, I try to make five putts in a row. Why are sports important to you? They are important to me because they teach me life skills and have helped me grow up over the years. They have taught me sportsmanship, and golf has taught me to be honest because you are keeping track of your score. You’re the only one out there and that makes everybody accountable. 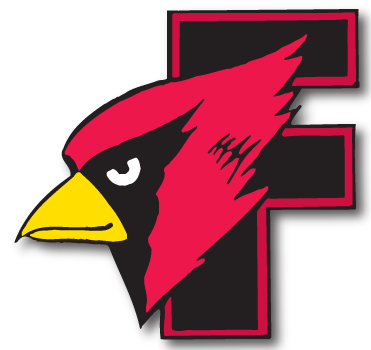 Fond du Lac had three golfers finish in the top 10 and the Cardinals finished second among 12 teams at OId Hickory Golf Club. Elliott Nielsen tied for third with a round of 78 to lead the Cardinals, while Jack DuChateau was sixth with an 80 and Sam Nielsen was seventh with an 82. Kyle Kahl rounded out the scoring golfers with an 86. Fond du Lac finished with a score of 326, two shots behind Madison Edgewood. Host Beaver Dam was third at 328.